The Kershaw Squaw Creek 2150CF is a tough little knife. It is constructed of high carbon AUS6A for durability and strength. 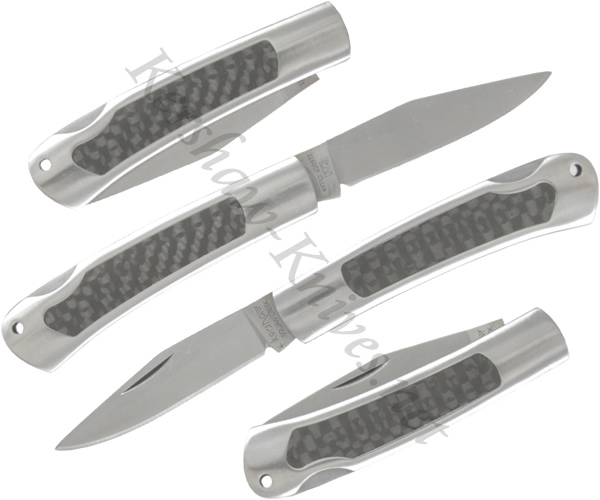 The handle has a carbon fiber inlay surrounded by satin finish stainless steel. The blade is opened using a nail nick and secures into place with a lockback.